A selection of what I’ve been reading the past two years about Wall Street, and developing a personal capability in applied finance, investment, money management, and trading. Emanuel Derman’s My Life As A Quant. K. Anders Ericsson’s Development of Professional Expertise. Michael Goodkin’s The Wrong Answer Faster. Daniel Kahneman’s Thinking, Fast and Slow. Victor Niederhoffer’s The Education of a Speculator. George Soros’s The Alchemy of Finance and Soros on Soros. Josh Waitzkin’s The Art of Learning. Aaron Beck’s Red-Blooded Risk and The Poker Face of Wall Street. Peter Bernstein’s Against The Gods. Andy Busch’s World Event Trading. Aswath Damodaran’s Strategic Risk Taking. Satyajit Das’s Traders, Guns and Money and Extreme Money. Francis X. Diebold, Neil A. Doherty and Richard J. Herring’s The Known, The Unknown, and the Unknowable in Financial Risk Management. John C. Hull’s Options, Futures, and Other Derivatives (8th edition). John C. Hull’s Risk Management and Financial Institutions (3rd edition). Ari Kiev’s The Psychology of Risk. Roger Lowenstein’s When Genius Failed and The End of Wall Street. Guy P. Wyser-Pratte’s Risk Arbitrage. Andrew Ross Sorkin’s Too Big To Fail. Nassim Nicholas Taleb’s Fooled By Randomness and The Black Swan. Peter Bernstein’s Capital Markets and Capital Markets Evolving. Donald Mackenzie’s An Engine, Not A Camera and Material Markets. John McMillan’s Reinventing The Bazaar. Perry Mehrling’s Fischer Black and the Revolutionary Idea of Finance. Tanya Beder and Cara Marshall’s Financial Engineering: Evolution of a Profession. Simon Benninga’s Financial Modeling (3rd edition) and Principles of Finance With Excel (2nd edition). Aswath Damodaran’s Applied Corporate Finance. Martin S. Fridson and Fernando Alvarez’s Financial Statement Analysis: A Practitioner’s Guide. Tim Koller, Richard Dobbs, and Bill Huyett’s Value: The Four Cornerstones of Finance. Jeffrey Madrick’s Age of Greed. Jeff Madura’s International Financial Management (11th edition). McKinsey & Company, Tim Koller, Marc Goedhart and David Wessel’s Valuation (5th edition). Jonathan Mun’s Real Options Analysis. Justin Pettit’s Strategic Corporate Finance. Simon Woolley’s Sources of Value. Connie Bruck’s The Predators’ Ball. Robert F. Bruner’s Deals From Hell. Robert F. Brunner and Joseph R. Perella’s Applied Mergers and Acquisitions. Bryan Burrough and John Helyar’s Barbarians At The Gate. Joshua Rosenbaum, Joshua Pearl, and Joshua R. Perella’s Investment Banking. Joseph Calandro Jr.’s Applied Value Investing. William D. Cohan’s Money and Power. Ken Fisher’s The Only Three Questions That Still Count. Robert Shiller’s Irrational Exuberance (2nd edition). Meir Statman’s What Investors Really Want. John Abbink’s Alternative Assets and Strategic Allocation. Harold Evensky, Stephen Horan, and Thomas Robinson’s The New Wealth Management. Richard Grinold and Ronald Kahn’s Active Portfolio Management. Andrew Kumiega and Benjamin Van Vliet’s Quality Money Management. John Maginn, Donald Tuttle, Dennis McLeavey, and Jerald Pinto’s Managing Investment Portfolios. David Smith and Hanny Shawky’s Institutional Money Management. David Swensen’s Unconventional Success and Pioneering Portfolio Management. Richard Tortoriello’s Quantitative Strategies for Achieving Alpha. Ralph Vince’s The Handbook of Portfolio Mathematics. Leonard Zacks’s The Handbook of Equity Market Anomalies. Maneet Ahuja’s The Alpha Masters. Steven Drobny’s The Invisible Hands. David Einhorn’s Fooling Some People All of the Time. Ari Kiev’s Hedge Fund Masters. Sebastian Mallaby’s One Market Under God. Richard C. Wilson’s The Hedge Fund Book. Mike Bellafiore’s One Good Trade. Peter L. Brandt’s Diary of a Professional Commodity Trader. John F. Carter’s Mastering The Trade (2nd edition). Robert Edwards, John Magee, and W.H.C. Bassetti’s Technical Analysis of Stock Trends. Mark Fenton-O’Creevy, Nigel Nicholson, Emma Soane and Paul Willman’s Traders: Risks, Decisions, and Management in Financial Markets. Ari Kiev’s Trading To Win. Charles D. Kirkpatrick II and Julie Dahlquist’s Technical Analysis (2nd edition). Edwin Lefevre’s Reminisces of a Stock Operator. Michael Lewis’s Liar’s Poker and The Big Short. John J. Murphy’s Technical Analysis and the Financial Markets. Brett Penfold’s The Universal Principles of Successful Trading. Jack D. Schwager’s series (Market Wizards, New Market Wizards, Stock Market Wizards, and the new Hedge Fund Wizards). Brett N. Steenbarger’s Enhancing Trader Performance and The Daily Trading Coach. Paolo Brandimarte’s Numerical Methods in Finance and Economics. Brian Brown’s Chasing The Same Signals. Barry Johnson’s Algorithmic Trading and DMA. 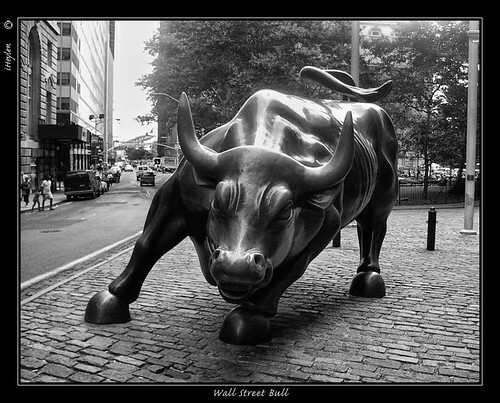 David Leinweber’s Nerds on Wall Street. Rishi K. Narang’s Inside the Black Box. Dessislava Pachamanova and Frank Fabozzi’s Simulation and Optimisation in Finance. Edgar Perez’s The Speed Traders. I’m working on an academic journal article about Terra Firma‘s unsuccessful private equity acquisition of EMI. Terra Firma defaulted to Citigroup, which agreed to sell EMI’s record labels in November 2011 to Universal Music Group (Vivendi SA) and EMI’s publishing to a Sony-led consortium. Now, the European Commission will investigate Universal’s acquisition for antitrust implications, given the planned market size of the combined group. Vivendi SA’s shares traded sideways in a choppy market on Friday, 23rd March 2012, possibly in relation to the antitrust announcement and the possibility of regulatory arbitrage on the Universal-EMI deal.